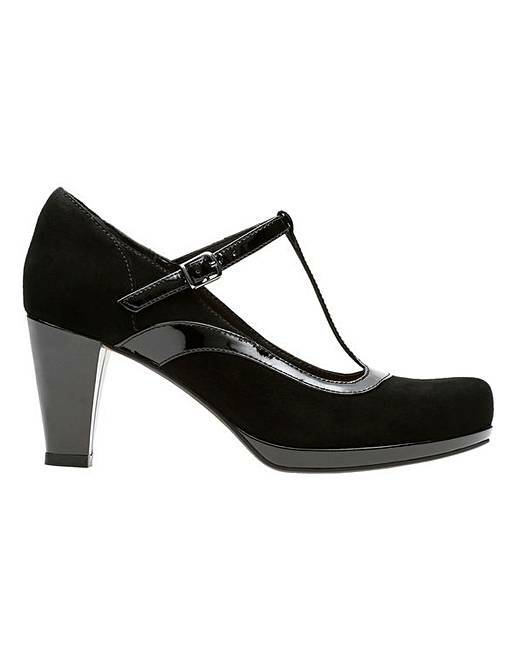 Perfect for work or formal occasions, these classic T-bar shoes feature a 7.5cm heel for added height. 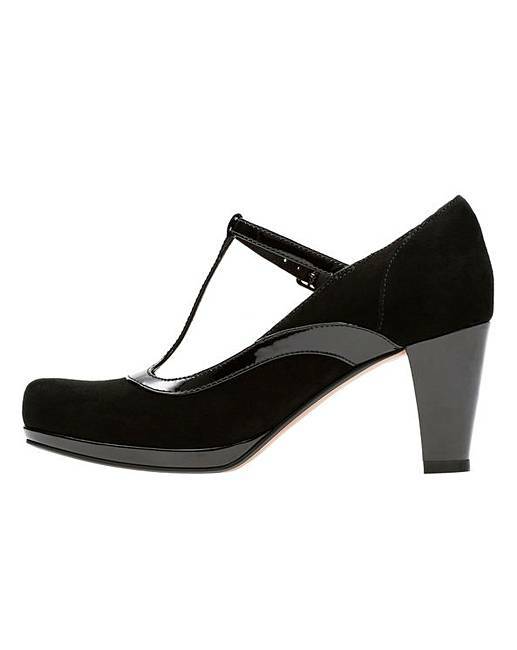 A glossy black trim adds interest to the black suede upper, while the dainty strap and buckle fastening enhances the feminine edge. Practical additions include a rubber sole, leather sock and our unique Cushion Plus� technology.